It is now crystal clear that the action of the Sierra Leone Law School to continuously subject its students to massive failure over the years is deliberate. This was clearly demonstrated past Wednesday February 20th, 2019 when the school authorities deliberately refused to honour the summon made by the Parliamentary Oversight Committee on Technical and Higher Education after they had been adequately informed. To make matters worse, it seems their action is a conspiracy between them and the office of the Attorney General and Minister of Justice who was also supposed to be part of the said meeting but the representative, Didi Thompson, who is also one of the tutors at the Law School, insultingly and blatantly, vamoosed before the meeting started. 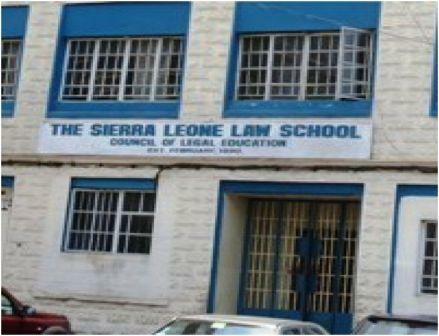 It could be recalled over the years that, the Sierra Leone Law School has persistently come under the spotlight for the continued mass failure of its students. This situation has become worrisome every other year as hundreds of Sierra Leoneans and non- Sierra Leoneans hopes of becoming lawyers are been continually dashed to the dustbin with impunity by the wicked act of those at the helm of affairs at the Law School. It is as a result of this appalling situation that the House of Parliament, through the Parliamentary Committee on Technical and Higher Education, in its wisdom decided to summon all parties involved to look into what has now become a social menace to the country’s education. Unfortunately, both the Law School authorities and the Attorney General’s office blatantly refused to honour the call. This is indeed an insult to the both the House of Parliament and the New Direction Government which puts premium on education and thus requires strong action from both the government and the House of Parliament.